Daily Current Affairs Quiz: 29th March 2018 has a set of 15 questions mentioned here with proper explanation and answers provided against each of the question. 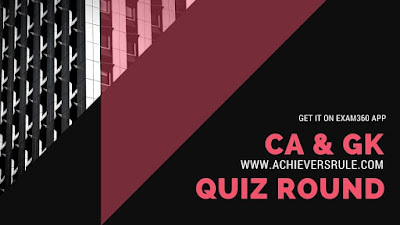 These questions have been framed keeping in mind the Latest Pattern of Current Affairs in Government exams like IBPS PO, IBPS Clerk, SSC CGL and SSC CHSL. Aspirants should go through the Current Affairs Updates and the One Liner GK and Static Note Down Points before going through the quiz. Q1. Who has been appointed as the judicial member of the National Green Tribunal? Department of Posts (DoP) under Ministry of Communications has launched the Cool EMS Service between India and Japan. Q4. Who has been appointed as the CEO of 'Ayushman Bharat' mission? Q5. India’s electricity production is more than __________ and Japan. According to a report by India Brand Equity Foundation (IBEF), India’s electricity production grew 34% over seven years to 2017, and the country now produces more energy than Japan and Russia, which had 27% and 8.77% more electricity generation capacity installed, respectively, than India seven years ago. In a surprise turn of events, India and China agreed to draw up a medium- and long-term roadmap with action points and timelines to address the 51 billion dollar trade deficit between them..
Q13. Who secures India’s fourth individual gold at Junior World Cup? EPFO launches new portal to provide Know passbook, pension credit date related info. The enhanced "Track eKYC" facility for the convenience of members has also been launched to check the status of Aadhaar seeded against their Universal Account Number (UAN).. The Union Cabinet has approved Memorandum of Understanding (MoU) between India and Canada to establish bilateral cooperation activities in field of Intellectual Property (IP)..